This strategy helps Eisenman to go against “designed” architecture, that is, an architecture of subjective expressionism and individual signature, so typical of most of his postmodern contemporaries. 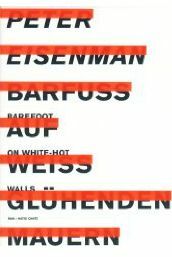 In contrast to their refinements of the superstructure of architecture, or the semantic form, Eisenman sets out to always go “underneath” and “within” architecture to unveil its “textual infrastructure.” Such manipulations can be visualized in diagrammatic processes, a series of which, implementing diverse strategies, are to be found in his Diagram Diaries [ill.7] and in his latest book, Giuseppe Terragni: Transformations Decompositions Critiques [ill.8]. This kind of passivity fundamentally questions the nature and genetic process of form, engendered by architecture’s internal “text.” Hence, the columnar field at the MAK and the diagrams describing his diverse spatial strategies inside the columns are deprived of any Kunstwollen. It is not an easy task for me to speak out about a project of yours, which saw the light of day well before I was born. There is this inevitable sentiment on my part that I owe tribute to an argument, which is part of the tradition that precedes me, and that I inherited. It is less risky to write about the far gone past, since the time distance provides the license for bendable interpretations. I therefore ask you to grant me forty years from this moment on to fully digest what you say about the straw figure of Terragni, and be prepared for my deviant reading of you in the form of … a book and a building! Your book on Giuseppe Terragni has been out for a year now. And I am “reviewing” the birthday kid as if the book itself were not already a review, or retroactive preview, of something you have visualized in many different ways throughout your career. Whereas other books must live through the thunderstorms of time to earn the tribute, yours is paradoxically a natural born historic document. It is as if you took advice from Friedrich Schlegel, who made the analogy between intellectual work and battle strategies in one of his Fragments: you first have to claim a territory you like, he says, and then you spend the rest of your life defending it against your opponents. So the book on Terragni is your weaponry, which is able to defend the intuition you had about Terragni’s slightly mannerist version of modernism. 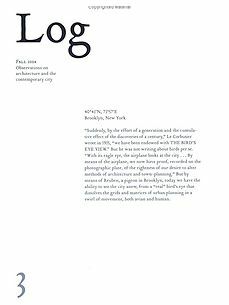 At this point, your audience has come to know your interest in textual analysis and why such an architectural reading is productive for a designer; nonetheless, the “how” of such a reading remains perplexing. Your obsessive diagrammatic transformations of Terragni’s facades, plans, and volumes — the dialectical game of black and red lines on the pages of the book — is somehow bound to seduce any architect’s eye; the geometrical flickering of the diagrams produces an after-image of Terragni — an irritant, which you define as the “critical” in your approach to architecture. Terragni provides the raw material, which, once invested with an effort of reading, infinitely proliferates to produce a conceptual space that you made your home. Once your critical play of Terragni is given the fertile ground of the architecture you dub as “textual,” your audience begins to accept the argument in this book as the foundational momentum of your architectural discourse. This book is more Eisenmanian than Eisenman; it is based on a strategy of multiplication: It is the ecstasy of Eisenman . . . of Eisenman inhabiting Terragni, and of Eisenman defending his own territory. Your inexorable belief that architecture can always offer “deeper” meaning, provided you keep investing the energy to continue reading, is admirable. We know, however, that this relates to the intellectual mother’s milk you received from Colin Rowe, and that there would be no Terragni book without Rowe’s “formal mathematics” or Rudolf Wittkower’s geometric “principles.” But where Rowe was interested in finding solutions, you decided to multiply the problems. Arguable, Rowe is to you what the cube is to your diagrams, that is, the originating and static condition to be set in motion and thus rendered problematic. This activity presents itself as a reckoning force, which — if successful — will never come to rest or become formally solidified. In other words, Rowe does not go away, because the specters of his formalism appear in every one of your textual diagrams; the sense of movement in your reading seems to be introduced to dodge Rowe.